We will take a closer look on latest version of Sketch (v.44) and see what new features it has. One of the main changes is the update of group resizing feature. Group resizing feature is a feature for making layers responsive to resizing of the parent group or artboard. To explain the sense, imagine that you resize the groups and all the layers inside would react as they supposed to. And not just stretching or deforming. So, what about changes? Now we have more control over the details like pinning the layer to whatever sides you want. For the first-time users the controls might look less clear, especially when setting up for floating and stretching modes. For experienced ones its obvious that you could do most of the things in previous version too. 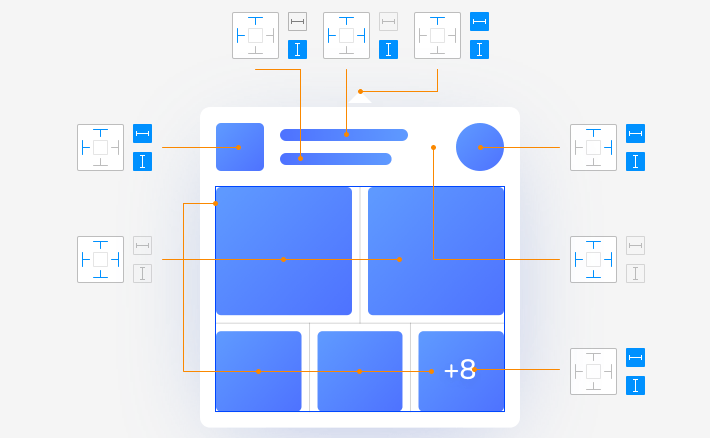 In the article written by Emin Inanc Unlu, you will find a lot of useful examples, explanations and tips how to use updated group resizing feature. Despite it might look easy, the option can work differently depending on how many edges of the object is intersecting with the bounds of the group etc. Explore all the important tips here.